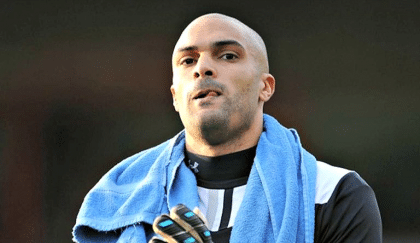 Nigeria No.1 Goalkeeper and Wolverhampton Wanderers’ Carl Ikeme was on Thursday diagnosed of acute leukemia and this has generated reactions from fans and well wishers across the world. His Super Eagles colleagues reacted to the sad news by sharing their heartfelt messages and best wishes to him in their various social media platforms. The 31-year-old is expected to take a long absence from football as he begins his lengthy treatment period. Wolverhampton Wanderers disclosed on their website on Thursday, that the Super Eagles goalkeeper has cancer in his bone marrow after a pre-season testing which returned abnormal blood tests. The Super Eagles goalkeeper has been first-choice at Molineux for the past five seasons, but his pre-season preparations were dealt a blow when he returned some abnormal blood tests. Ikeme progressed through Wolverhampton Wanderers’ academy and made the first team squad in their 2003–04 Premier League season. Due to Matt Murray’s long term injury, he was promoted to the substitutes’ bench for a string of games but never played. Ikeme was born in Sutton Coldfield, West Midlands, and was eligible to represent England or Nigeria at international level. He chose Nigeria, and was first called up to the Super Eagles squad in 2007. He made his international debut for Nigeria on 5 September 2015 against Tanzania in a 2017 Africa Cup of Nations qualification game. Prayers up for my brother and friend @Carl_Ikeme .